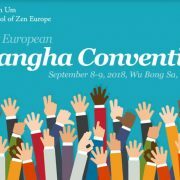 The Summer Retreat Program of the Kwan Um School of Zen Europe has been announced, Starting in England. 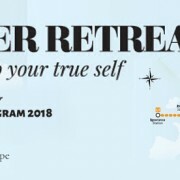 The SRP is a set of end-to-end continuous retreats taking place in seven different European countries starting 17th June 2017 and ending 03 September, after a three-week Kyol Che at Wu Bong Sa, Poland. For more information please contact the organizer using email, which you can find in the right column after clicking on each event’s link. Students, retirees, temporarily unemployed seeking for work, disabled people and school children if they are assisted by parents sitting the same retreat in a difficult financial situation and wishing to sit at least two weeks of retreat in any Summer Retreat Program can also apply for scholarship funded by KUSZ/E Council. Please provide your Guiding Teacher’s recommendation to comms@kwanumeurope.org and if you are our School’s member you can receive up to 50% discount. New Kitchen at the Zen Center Berlin European Office is looking FOR YOU!